← Today was my best day in a week. Woohoo! I kinda wish I studied in those bio classes I took. Thursday I felt nearly human all day. It was a high. The great news is that a I finally got through to the LAHEY CLINIC and I have my first appointment May 23! That is really, really fast and is very good news. So, we’ll truck to Boston with all my records in hand and meet with Dr. Amy. Can I admit that it’s very weird for me to be excited about getting to see a liver transplant specialist? My, how our perspectives can change, huh? Something I read made me so sad Wednesday. 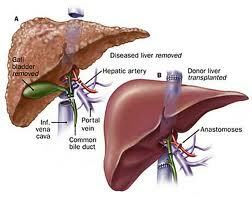 I learned of someone who is mad at God because I have liver disease. What can I say to change her mind? I am not mad at God at all. It’s okay to not understand why but to walk away is just hurting you and me. Please don’t be mad at God. I have faith in God. I know that he cares for me. I am drawing my strength from Him. Yes, bad stuff happens in this world but I don’t believe God is just sitting on his throne sending sickness and storms and strife and then laughing about it. That’s not the God who has always stood with the oppressed and the sick. The big book called the bible tells me that the sun and rain fall on the just and unjust alike. Good people sometimes get sick and jerks do too. We just don’t get as upset when it happens to jerk. Heck, I’ve got people who think I’m a jerk. They probably aren’t shook up at all about my challenges. I know we don’t understand why. I know that suffering isn’t fun. I know that it’s tough to see people we love suffer. But please don’t blame God. My hope is we’ll pull closer to him rather than pull away. I don’t know a lot of things but I do know that my God gives me strength. It sounds weird but I sense Jesus is chillin’ with Skittles (my dog) and I right here on the couch. I hear him speaking to me through so many of you. I am so close to God right now. Sometimes, when things are going great, I forget to hang out with God. I’m not religious, I’m relational. It’s my relationship with Jesus that is the very essence of my life. I know a lot of you reading this are not into theology stuff or religion. Christians have not impressed you on the whole. You’ve seen them waving their signs and complaining loudly about whatever and you haven’t seen any love. I apologize for that. I hope that has never been your experience with me. I just want to follow Jesus and live like he lived. I want to have the same love and acceptance for people. He even said we’re supposed to be about two things: love God and love others. That’s what I’ve based my life on. Check into this Jesus character before you write him off because what you’ve seen people who claim to represent him do. Email me if ya want. Let the questions rip. I’m just laying around … I’ve got time to share why I believe in Him so strongly. Dear Pastor Scott, I’ve tried various times to send you a message but to no avail. Wanted to let you know we are praying for you and your family. I had a couple of scriptures for you but you’ve got the whole Bible. Please share scriptures any time! I believe that God shows His love for us by revealing Himself often through our brothers and sisters. As you come across passages and think of me, please pass them on.